Do you geek out on numbers, spreadsheets, software QuickBooks and how to manage a small businesses funds? Does the thought of getting to have ownership of your position and freedom to develop systems to make our chamber more efficient sound energizing? Do people compliment you on your customer service skills and are excited about being around you? Would you be described as detailed and organized and have a very good work ethic? and.... would you like to get out of that desk job and into the world of where we have fun and exciting events every week? Then we want to talk to you today. Immediate opening for our Front Desk Coordinator. In-depth knowledge of sales functions and customer service-oriented principles. Strong interpersonal skills to effectively cultivate relationships with prospects, members, volunteers and community stakeholders. Experience in developing compelling written, oral and visual presentation materials would be helpful. Ability to organize, plan and prioritize workload involving multiple projects at one time. Ability to think creatively and innovatively as well as provide solutions. Ability to communicate effectively to diverse audiences. Strategic, critical thinking and problem-solving abilities. Capable of maintaining sensitive/confidential information. Must be a team player that works well in fast-paced, changing environment. Must have the ability to foster the values of member relations and quality assurance in customer service. Understanding in various forms of social media, social media marketing, email marketing and other digital marketing. Understand cloud-based technologies with little or no supervision or explanation. PowerPoint, publisher, word, excel skills are required. Very professional mannerisms, attire, appearance and language. Customer service skills must be outstanding. Must have a high tolerance for patience and understanding. 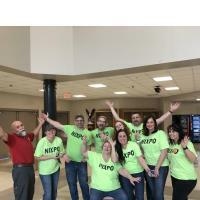 Nixa Area Chamber of Commerce is an equal opportunity employer. Everyone and anyone are encouraged to apply.